A live performance and a special announcement from Fokofpolisiekar... this Friday couldn’t get any better! Fokofpolisiekar was formed in 2003 when a group of friends from Bellville in the Western Cape decided to start an Afrikaans rock band. They have become known for their explosive live performances and we were thoroughly spoiled with a live version of ‘Komma’ this Friday. READ ALSO: The Cure is coming to South Africa! 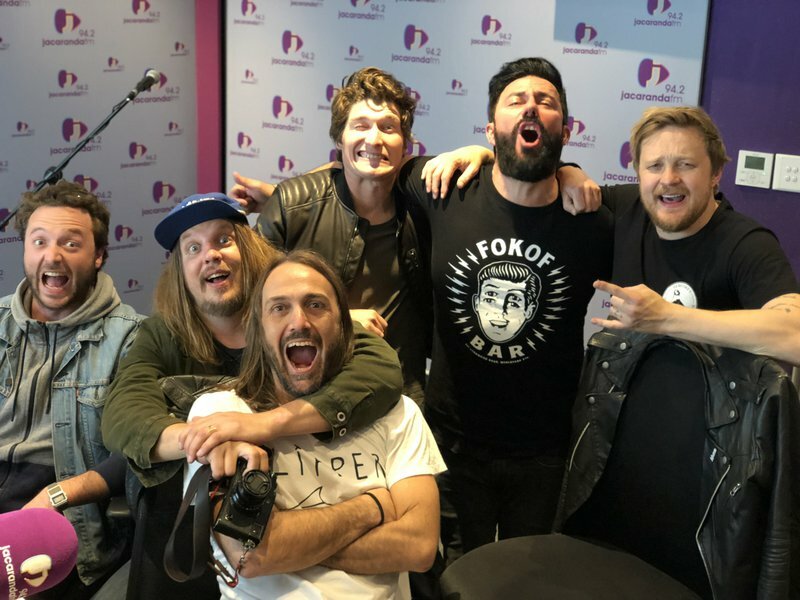 In 2014, the band produced a beer named Fokof Lager, but on Friday, Francois van Coke, Hunter Kennedy, Johnny De Ridder, Wynand Myburgh, and Jaco SNAKEHEAD Venter made an exclusive announcement on Breakfast with Martin Bester. Fokofpolisiekar are always up for fun and games and even tried to play the R100,000 Secret Sound. Francois van Coke will host a rock spectacular showcasing his collaborations with various prestigious artists at the Time Square Sun Arena in Pretoria. Fofofpolisiekar will also be on the bill!